Celebrate your special year with this highly desirable and practical timepiece which features a genuine florin from 1915 - 1967 as the silver face dial and is protected with a scratch resistant sapphire crystal. 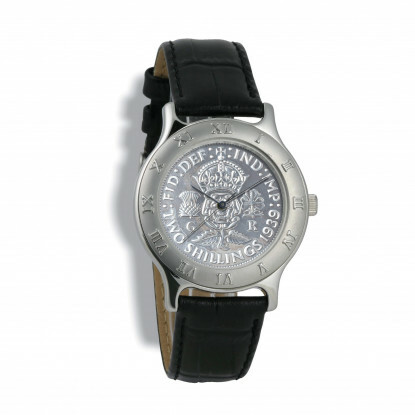 The watch comes with a anti-allergenic black leather strap. A precision Swiss quartz analogue movement ensures accurate time keeping and makes a handsome gift to treasure.